Cochlear implants can fill your world with the joys of sound. 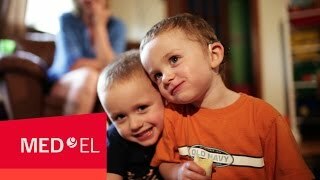 Find out how a cochlear implant could bring sound to you or your child. Was your child born profoundly deaf? Do you have hearing loss, but find your hearing aids aren’t helping anymore? Can you only hear in one ear? If you can answer yes to any of these questions, then a cochlear implant may help you, or your child, to hear better in everyday life. Getting a cochlear implant is a big decision, but it can be life-changing. Why? Because the benefits go beyond simply better hearing. Cochlear implants are designed for people with severe-to-profound sensorineural hearing loss. With this type of hearing loss, the hair cells in the inner ear are damaged, and can’t detect sounds properly. A cochlear implant bypasses these damaged hair cells and sends electric signals directly to the brain, where they are interpreted as sound. A cochlear implant system has two main components. 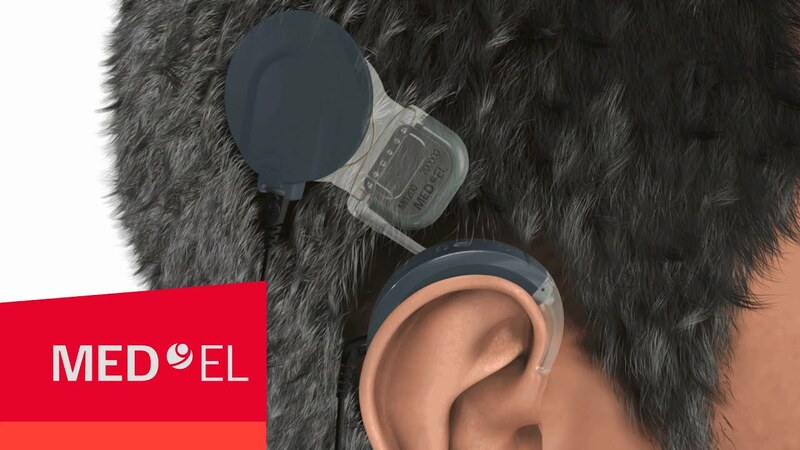 The externally worn audio processor detects sounds and sends them to the internal implant, which is placed just under the skin behind the ear. We go further than just offering you the best sound quality—our audio processors have all the features you’re looking for in comfortable designs you’ll love to wear. And our implants are designed to deliver outstanding reliability, the highest MRI safety*, and a lifetime of better hearing. Together, they’re made to give you the best possible hearing experience. Find the right fit for you. We offer different audio processors, so you can choose the best match for your everyday life. All of our implants offer outstanding performance and exceptional reliability. Your clinical team will help determine the best implant option for you. Find the right fit for you. We offer three different audio processors, so you can choose the best match for your everyday life. Getting a cochlear implant is a big decision. Your implant will be with you for many years to come, so it’s important to think about the impact your implant will have, both now and in the future. At MED-EL, we design everything with the future in mind. Our implants are built for long-term reliability, so you can experience years of uninterrupted hearing. We make it easy to upgrade to the newest audio processor, letting you benefit from the latest technology. And our SYNCHRONY implant has the highest MRI safety available*, meaning you’re prepared for whatever life brings. A cochlear implant is a decision for a lifetime, and MED-EL will be with you all the way. 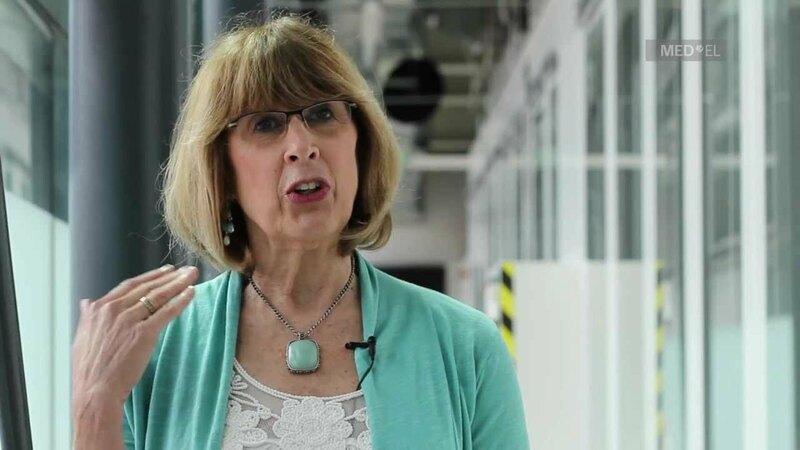 "My quality of life has changed tremendously since my implant"
What can you expect next? Here’s an outline of the process of receiving a cochlear implant. First, you’ll undergo routine assessments to ensure you’re a candidate for a cochlear implant, and if there are any additional factors your cochlear implant team should consider. Your clinical team will walk you and your family through the specifics of what to expect in the following steps. To implant a CI, the surgical procedure is straightforward and usually lasts between 1–2 hours under either general or local anesthesia. Recipients are usually back on their feet the next day. Your hospital stay may last one or more days, depending on your individual needs and what’s typical in your area. About four weeks after implantation, you’ll have your first fitting. This “activation day” is when your audiologist will turn on your audio processor for the first time and you’ll hear your first new sounds. The audio settings of your processor will be adjusted to fit your hearing preferences. After activation, it’s important to follow up with a rehabilitation programme so that you can adapt to hearing through your cochlear implant. Rehabilitation is essential to make the most of your implant. It can be done together with speech-language professionals and at-home listening exercises.